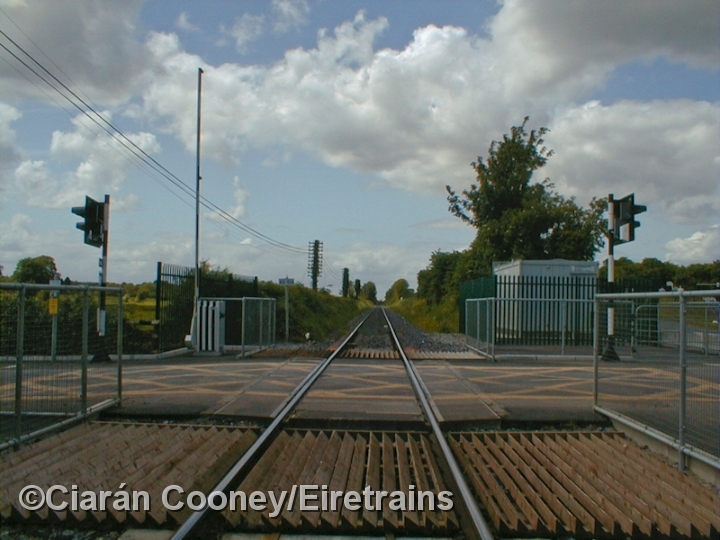 Ferns Lock station, Co.Kildare, is located adjacent to the Ferns Lock on the Royal Canal which runs parallel to the Midland Great Western Railway's Dublin to Sligo line as far Mullingar. 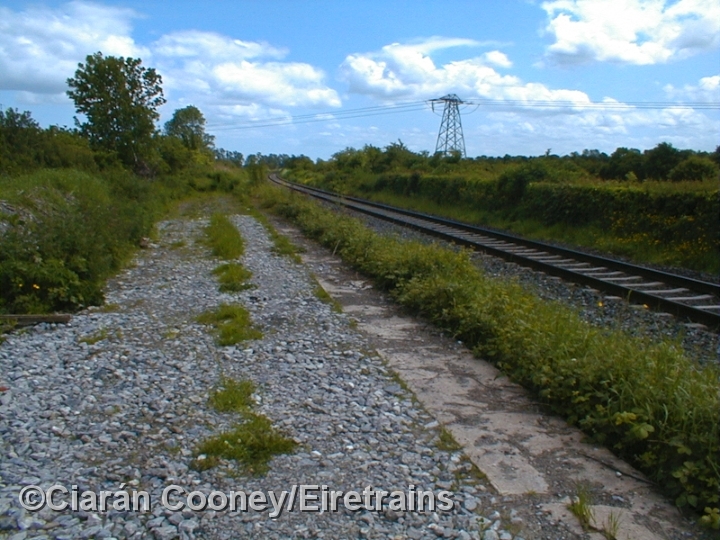 Serving a sparsely populared area, the wayside station was located between Kilcock and Enfield, opened in August 1848 and closed to passenger and goods in 1947 and closed in 1963. 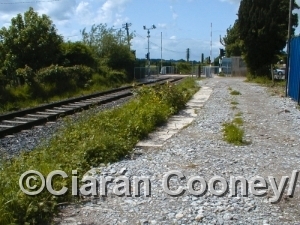 The station remained a block post however until 1963. The platforms (and possibly station buildings) remained intact until the mid 1990s, when they were demolished to allow the track to be relayed and re-aligned. Today, only part of the up platform remains, buried under gravel.